What else can be said about the PlayStation 3 at this point that hasn't already been said? Since launching in 2006, there have been approximately 400 different permutations of the console: variations on hard drive sizes, functionality, physical shape and, of course, price. 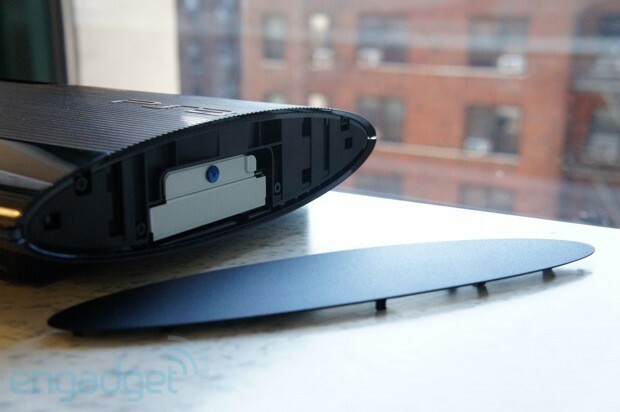 The latest model, the PlayStation 3 Superslim, is no different. It comes in just two permutations: 250GB ($270) and 500GB ($300). With the latter launching at the end of October, we've spent the last week with the already available 250GB model. Is it time to finally jump in to the PlayStation 3 party, or upgrade that aging 2006 model? Head below to find out. The newest PlayStation 3 is a step down from its predecessor, with a higher price, illogically placed disc tray and a glossy, fingerprint-prone finish. 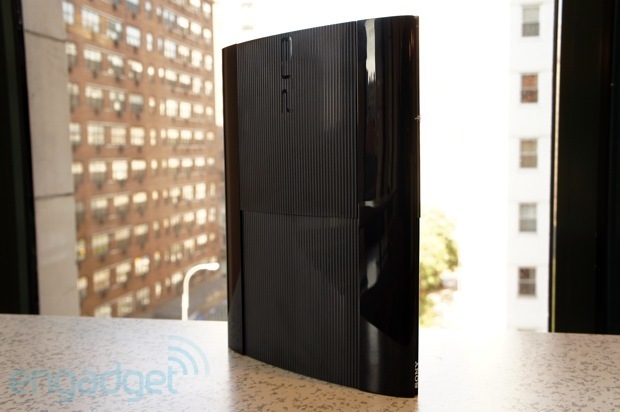 How would you rate the PlayStation 3 (late 2012)? Weighing in at just over 4.5 pounds, the PlayStation 3 Superslim lives up to its name, shedding nearly three pounds from the Slim and 6.5 from the original (monstrous) 11-pound console. Sadly, the clean, classy matte finish of the Slim model has been replaced with the glossy, fingerprint-prone plastic that Vita, PSP and first-gen PS3 owners have come to know and loathe. You may not notice the glossy facade at first, however, as the biggest hardware change in the new PS3 is where you insert disc-based media: a top-loading slider gets moved to the left, revealing a space for your brand new copy of Uncharted 3: Drake's Deception Game of the Year Edition (bundled with the 250GB console). 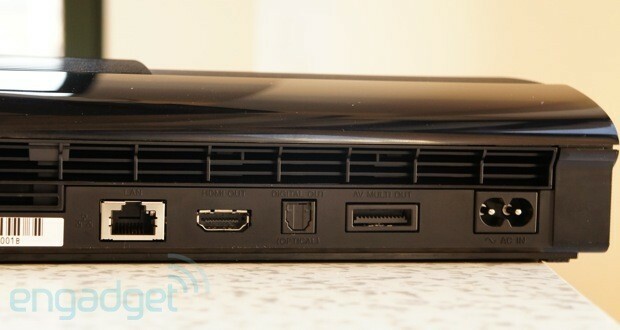 Aside from being the most notable change to the new PS3, it's ... well, it looks and feels terrible, to put it plainly. Not only is the new design unfriendly to home entertainment centers (where most PS3s reside, we'd argue), but it feels cheap and unstable -- a distinct step down from the previous two models' front-loading tray design. That statement can be applied to the entire redesign; despite Sony touting a 20 percent decrease in size and a 25 percent reduction in weight, nothing about the redesign feels like an improvement over the last model. The lightness only serves to accentuate the console's feeling of cheapness and the build quality drives that point home. An audible hollow rattle can be heard when you place the console on a hard surface -- that's the flimsy disc bay cover up top, reminding you that your brand new, nearly $300 console looks and feels like a piece of electronics from the 1970s. Internally, the same RSX GPU drives the newest model PS3, and the 45nm Cell processor from the Slim returns. The only difference we've seen in teardowns is a smaller Blu-ray drive (which still spins at 2x for BD, 8x for DVD and 24x for CD) and a rearrangement of internals -- both of which make way for the volume and size reduction. 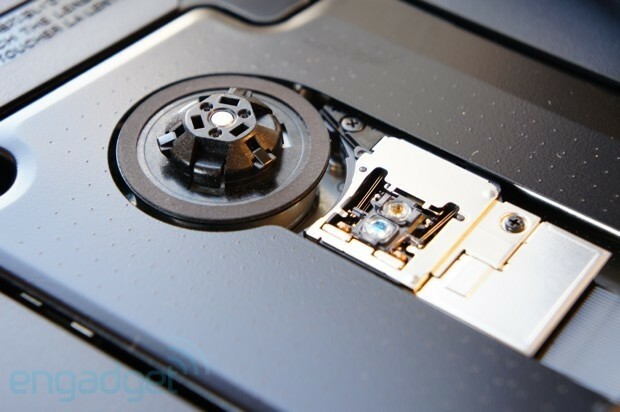 The 250GB HDD can be swapped like with previous models, and all it takes is a small Phillips head screwdriver, your hands, some confidence and about two minutes. Sure, that 250GB drive adds some value to your purchase, but it ends up feeling more like a ploy to charge more for the same old console, but not made as well, with a slightly larger HDD. In terms of rear-facing ports, the new, even slimmer model is identical to the Slim, offering Ethernet, HDMI, Optical out, RCA and a spot for the AC adapter. Unfortunately, the sad tradition of not including an HDMI cable with high-definition, HDMI-enabled consoles continues here, with only a (standard def) RCA cable included in the box. Remember, folks: Amazon is your friend. Dimensions 11.42 x 2.36 x 9.06 in. 11.42 x 2.56 x 11.42 in. 12.75 x 3.86 x 10.8 in. Also like the last model, the Superslim features no backwards compatibility with the PlayStation 2 -- a feature we're still sore about losing in the last PS3 redesign. Sure, PSOne support remains, but we'd really, really like to play our old PS2 games on the PS3 rather than buying HD re-releases of PS2 games on Blu-ray (ahem). The same two USB slots sit up front (down from four on the original), and the SD card reader from the first model remains stuck in the past. Similarly, the Superslim won't allow a Linux or OtherOS install -- admittedly, not a widely used feature -- but it's yet another example of how starkly different the current model PS3 is from the original console. The familiar hum of a game console -- from the Harrier jet noise of the original Xbox 360's fans to the nigh-imperceptible din of the last-gen PS3 -- is hard to escape. 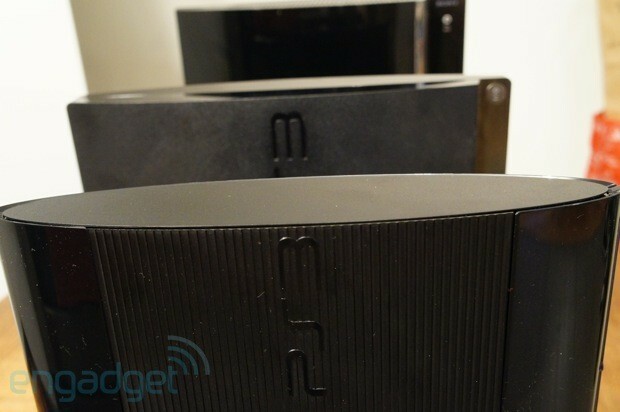 The new PS3 manages to make approximately zero noise; it is without a doubt the quietest home console we've ever heard (er, not heard, rather). That's likely due to the ubiquity of air vents found all over the machine, not to mention three hardware iterations and years of R&D. An entire horizontal half of the rear is dedicated fan space, and the bottom is framed by openings, giving the internals plenty of space to breathe. The button arrangement up front has once again been reconfigured, eschewing the touch-sensitive styling of the original PS3 and the clicky, large buttons of the PS3 Slim in favor of one long plastic panel that pushes in at either end (left for opening the disc tray, right for powering on the console). Like the top-loading disc tray, the buttons feel remarkably cheap and flimsy -- another confusing choice for the new console. At $270 -- a full $20 more than the already existing 120GB model, albeit with the addition of a year-old game and $30 in virtual money for a free-to-play shooter that isn't available yet -- the PlayStation 3 redesign is hard to suggest. Barring the price, the generally cheap feel of the hardware and sheer unattractiveness galvanize our position: you're better off picking up the older, less expensive, more attractive (and functionally identical) PS3 Slim. And that's without mentioning awkward design choices like a top-loading disc tray, or the return to glossy black plastic that holds fingerprints and dust so dear to its heart. If you're in the market for a new PS3 -- and honestly, who are you people? -- we can't suggest the Superslim.